Today’s cars are not as simple as those 10 years ago. Automakers have been installing wireless connections in vehicles and collecting data for decades. There are millions of new cars rolling out with built-in connectivity, and automakers are gaining access to unprecedented amounts of data that lets them track everything. The sheer volume of software and sensors in new vehicles, combined with artificial intelligence that can sift through data at ever-quickening speeds, means new services and revenue streams are quickly emerging. The data is generated by the car’s onboard sensors and computers, and then stored by the auto maker in cloud-based servers. Some new cars have as many as 100 built-in processors that generate data. There are some automakers who are using this data to provide valuable feedback to help improve their car’s performance. There is an increased emphasis that the data crunching will allow for automakers to come up with a better overall driving experience, including helping to identify dangerous intersections where accidents frequently occur, or even to prevent crime. They are also using user data to refine features and to alert them to any potential problems at launch. The data can also be used to develop new and personalized services for further improvements to their vehicles. “The benefit there is hopefully an improved relationship, so we know you better, we understand you better and we’re able to deliver better services to you,” said Don Butler, Ford’s executive director for connected vehicles and services. But many car makers have bigger plans, including using the data to craft targeted in-car advertisements or selling it to mapping firms looking to provide more accurate traffic information. The big question now is what the automakers are going to do with all the driver data they have collected. There is fear that they will profit off the data by selling it off to third parties, but it may just risk a backlash from their own customer base. Automakers want to build a database of consumer preferences that can be aggregated and sold to outside vendors for marketing purposes, much like how companies like Google and Facebook are doing now, Lanctot says. The potential to share data, both anonymized and personalized with third parties represents the biggest opportunity, Ford’s Butler said. However, he’s quick to point out that customers will have the choice to opt in to services that require sharing information, such as their location or driving habits. Automakers are also increasingly offering connected-car services, such as streaming services, in-car entertainment systems and apps, that they hope can generate new revenue streams and help diversify beyond their core business of building and selling cars. While it is still early days, McKinsey & Co, a global management consulting firm, . 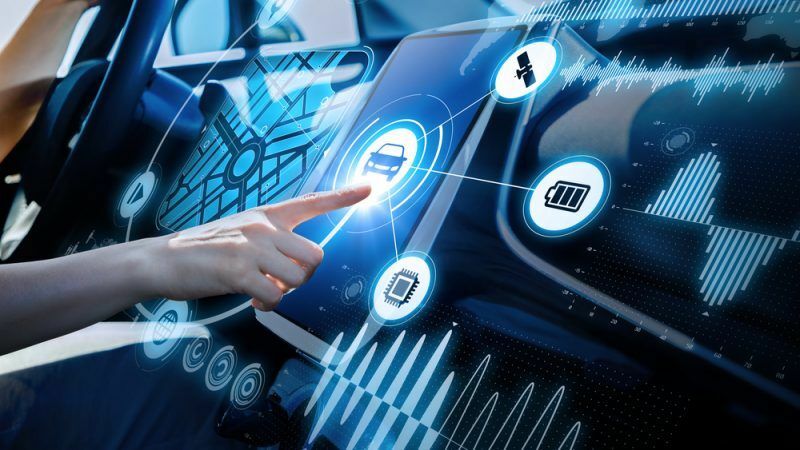 estimates that automakers monetizing data from connected cars will be worth up to $750 billion by 2030 due to the fact that more cars are shipped with an existing Internet connection. Hyundai is one of the early adopters of collecting data. The carmaker plans to launch a brand new program that allows them to gather data from vehicles on driving habits, including details like how many kilometres a car travels in a day, and use the data to help car owners get discounts on their car insurance. Again, Hyundai asserts that the data is only collected with the owner’s permission and shared with the insurance company as a score rating the driver’s performance. However, in light of the recent controversies by Facebook and Google’s parent company Alphabet Inc. over the handling of consumer data, there are increased efforts to handle the privacy concerns. Car companies constantly stress that they get the owner’s consent first before gathering any data. In cases where it is collected and provided to third parties, the data is anonymized, meaning it is scrubbed of all personal information and batched together with data from other vehicles to provide a more generalized picture of a car’s operations or consumer driving habits. Still, privacy experts are not convinced. It’s alleged that consumers don’t always know that they are giving consent. Sometimes, the data disclosures are buried deep inside the terms and service agreement, and often using jargon that may not be easy for the customers to understand. The automotive industry is changing to follow the lead of the tech sector, where data is king. They are following the examples of companies which collect user data online and via mobile-phone usage and then using that data to improve on their own services or to sell it off to a third-party. However, Swedish automaker Volvo approach to their consumer data is a stark contrast with most carmakers. According to Volvo CEO Hakan Samuelsson, the automaker isn't looking to monetize the data produced by its connected cars, arguing that Volvo will make more money selling connected and self-driving cars than licensing the data produced by those vehicles or taking a cut of the revenue derived from services that are offered in the car. Analysts say that in the near term, this move could help Volvo build trust among its consumers, especially in a time when consumers are increasingly wary of companies that are misusing and not securing their personal data. By claiming that it won't use consumer data for money-making purposes, Volvo could assure consumers that it's trustworthy. And that trust matters. According to a recent PwC survey, nearly 87% of consumers say they won’t want to do business with a company that they don’t trust is handling their data responsibly. elsewhere if they don't trust a company is handling their data responsibly. All in all, if consumers want to take advantage of these kinds of new connected features, especially making purchases while driving or using ride-hailing apps, they’ll have to give up at least some privacy. After all, your car knows you best.